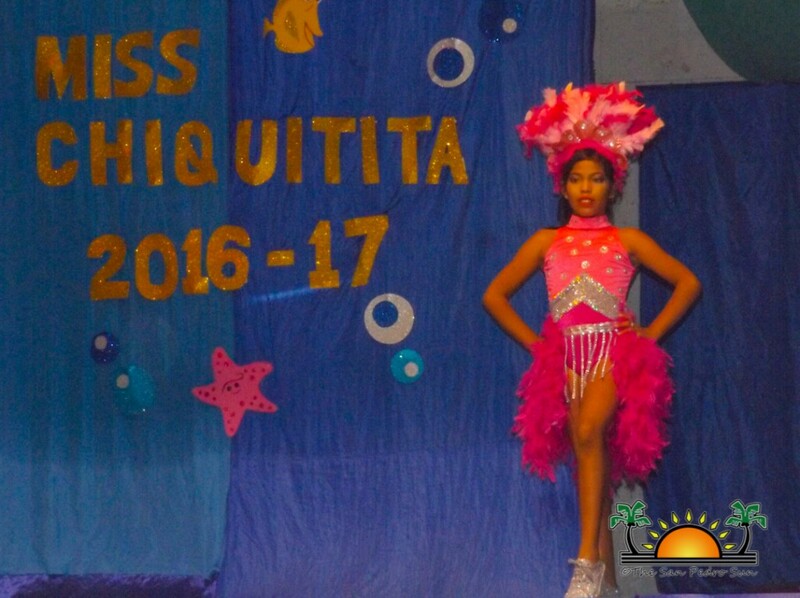 Five darling young girls participated in the annual Miss Chiquitita pageant on Saturday, June 4th, at the Angel Nuñez Auditorium. 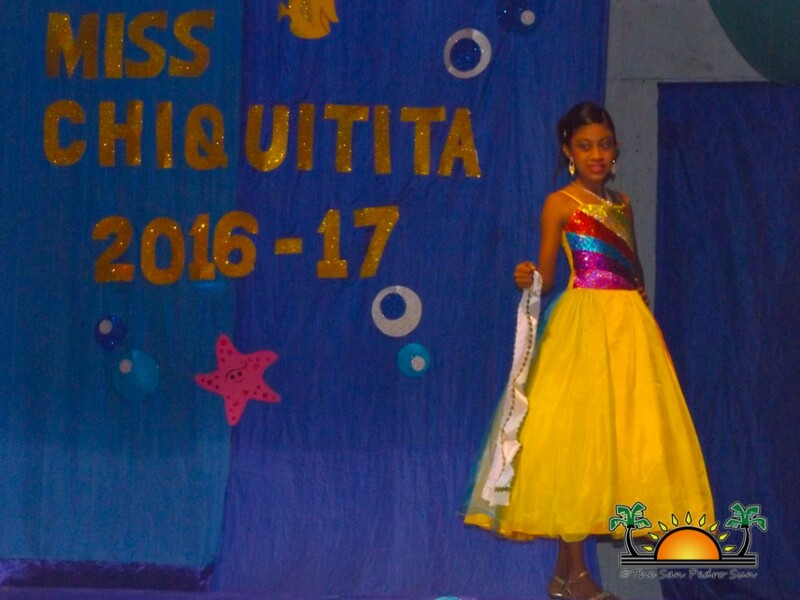 They all hoped to capture the tiara and title of Miss Chiquitita 2016-2017 during the largest fundraiser for the San Pedro Pre- School. 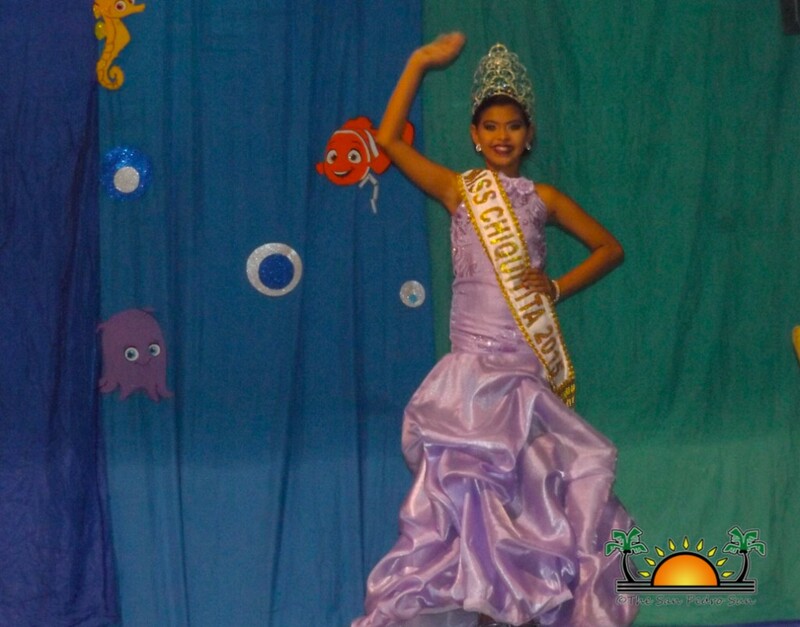 Shortly after 7PM, the pageant began with a dance, featuring contestants Carolina Salinas, Sandi Flores, Monique Garcia, Lindsey Williams, and Evelin Pichola. 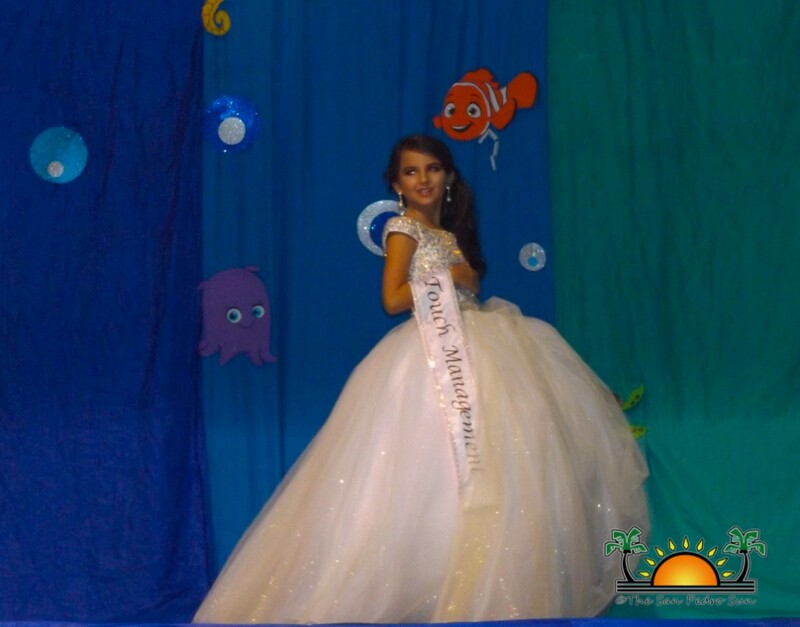 After the introduction dance, each girl introduced herself to the audience before leaving the stage to prep for the swimsuit segment. 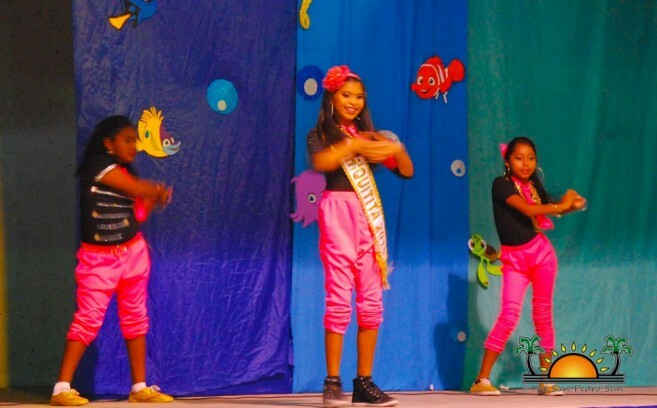 While they got ready, the San Pedro Dance Academy entertained the audience with a series of dance performances. After the enthusiastic tropical segment, it was time for another entertainment break. 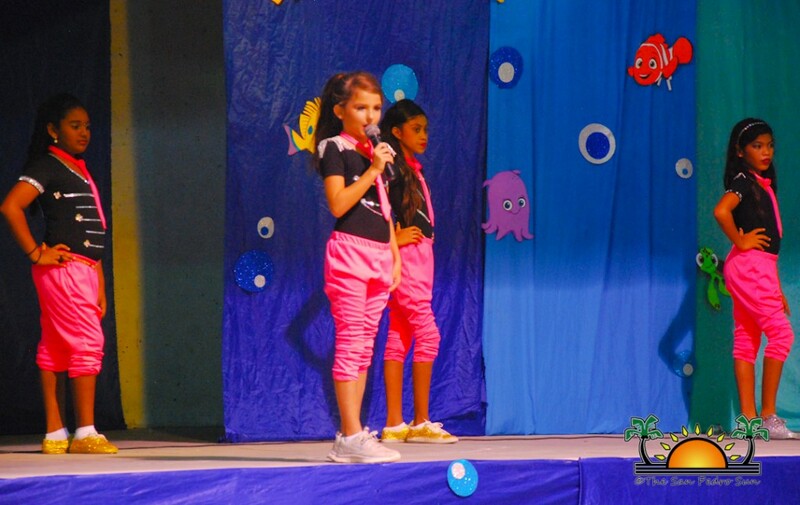 Neslen Rivero delighted the audience with her melodious voice while ‘Give It All girls’ entertained the audience with another dance number. 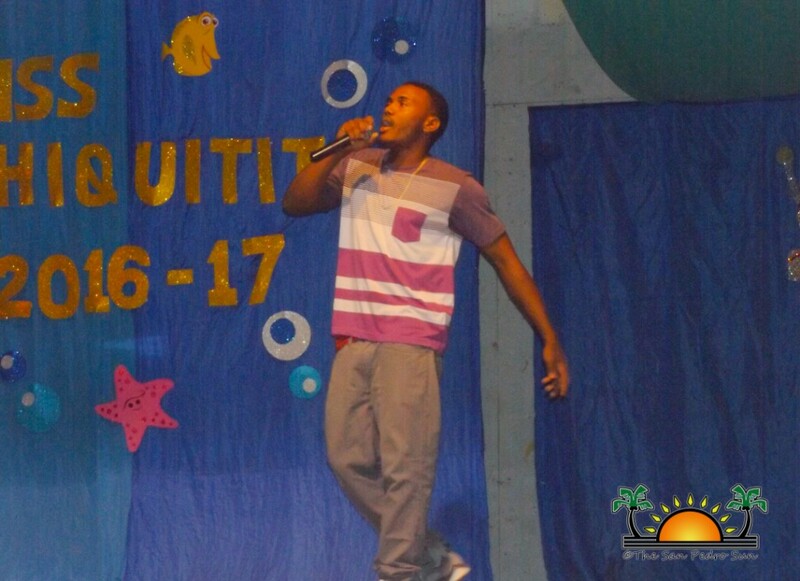 Immediately following the performances, the talent portion of the evening took place. Carolina came out first dressed as cat woman. 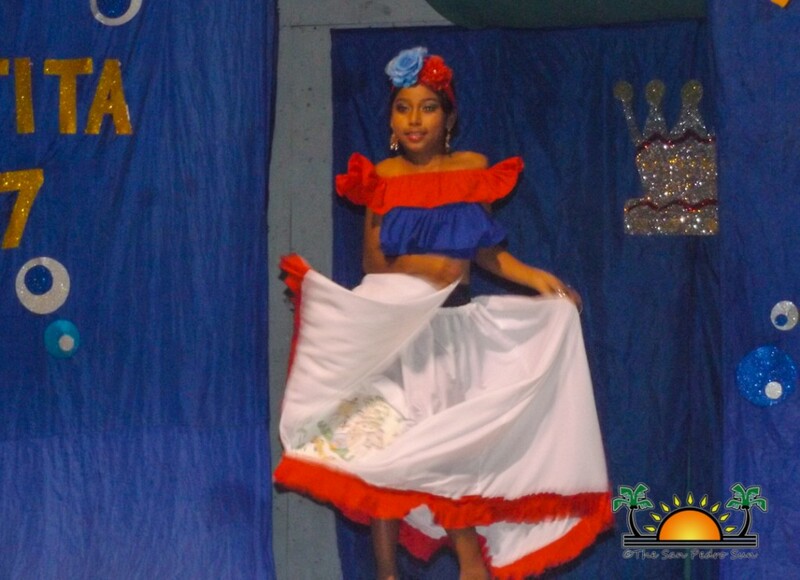 Following her was Lindsey, who delighted the crowd with her magnificent entrance portraying a patriotic outfit featuring the Belizean flag colours and reminding everyone about the wealth of our country. Sandi Flores gave a fabulous performance with a theme against bullying and encouraging compassion and friendship, while Monique did a grand presentation featuring the national colours while performing a hula hoop dance. 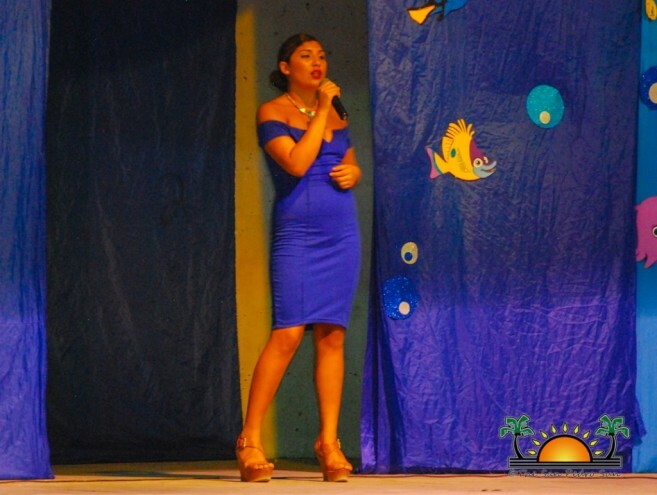 Evelin closed the segment with a carnival-themed performance, highlighting Belize’s September celebrations. The judges had their hands full, as there was much to admire from the presentations. 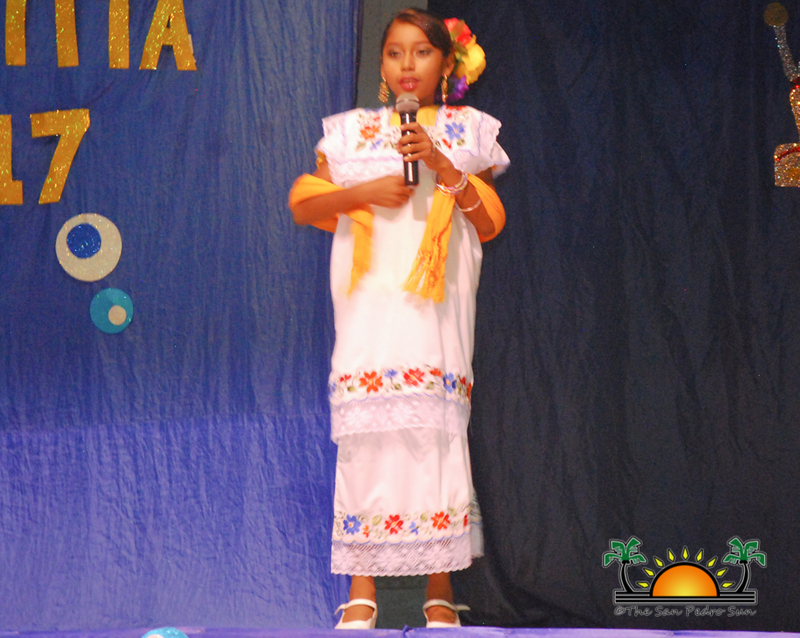 While the girls changed for their career segment, a last round of dance and singing performances took place. 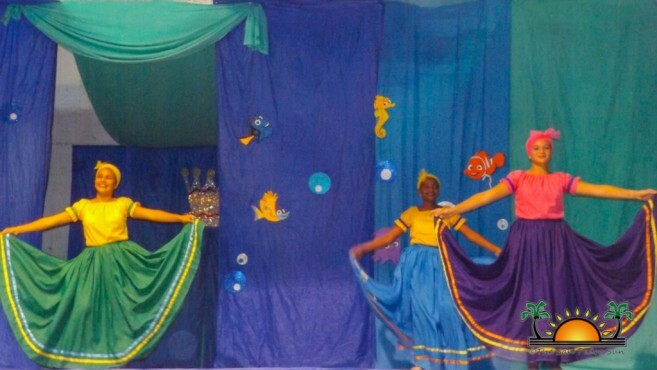 The San Pedro Dance Academy presented a fantastic cultural dance, while Mark Flowers sang a song sending a strong message against domestic violence. It was time for the ‘Career’ segment. Carolina dressed as a Zoologist and spoke about the importance of caring for our animals. 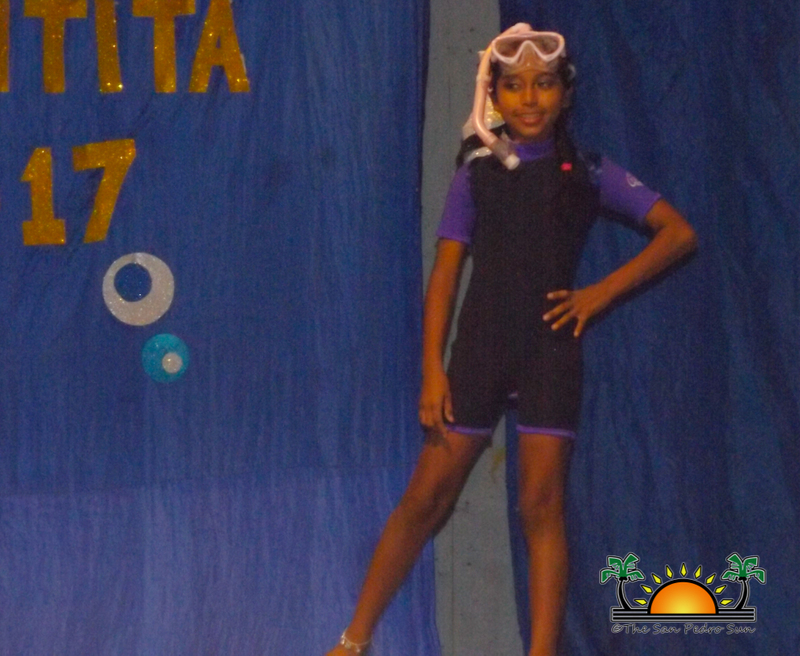 Next was Lindsey, dressed as a scuba diver, and spoke about the importance of enjoying and protecting Belize’s marine natural resources. Sandi then took the stage as a Veterinarian, while Monique dressed as a Nurse. Closing the segment was Evelin, who as a Doctor, spoke about the importance of keeping people healthy. 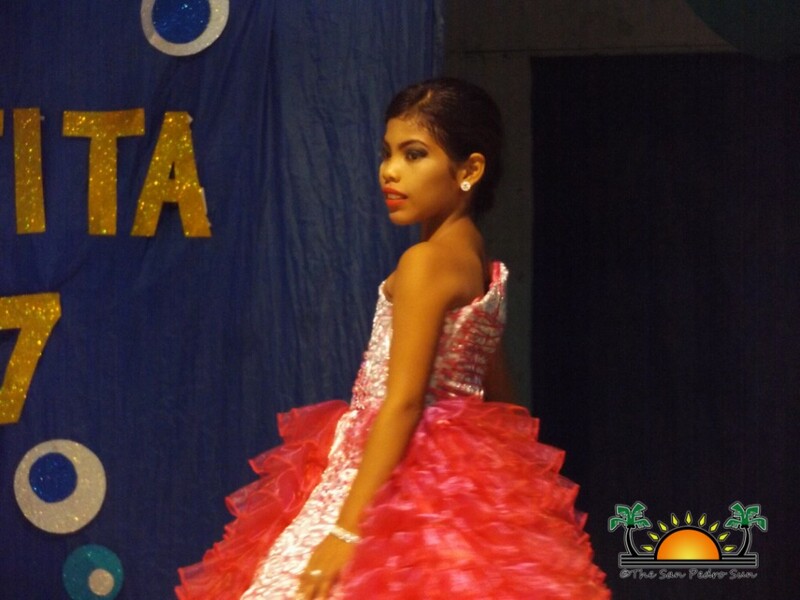 The ever-elegant Evening-wear segment had the audience in awe of the beautiful gowns each contestant wore. One by one they proudly walked out, dressed in stunning dresses, waving happily at the audience. 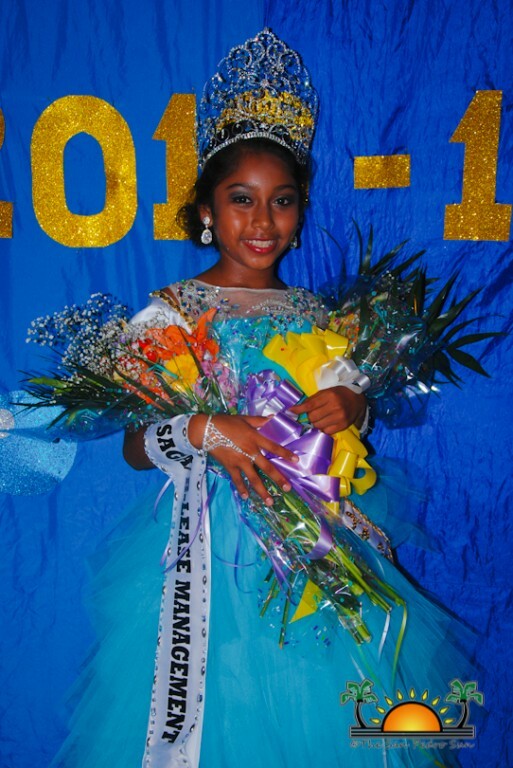 The newly elected Miss A.C.E.S Angelina Worthington entertained the audience during the intermission as judges deliberated their votes. 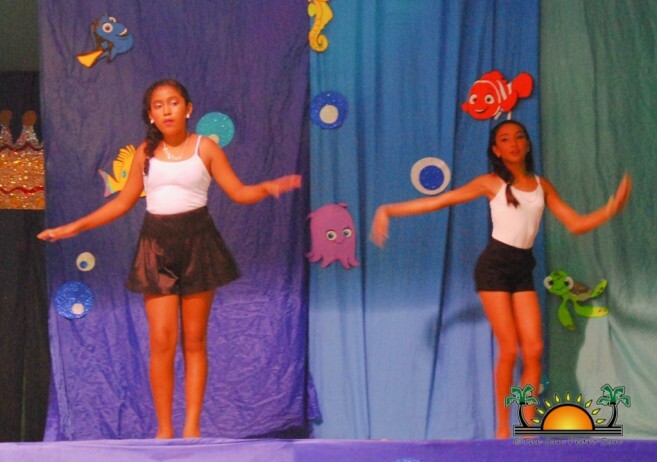 Angelina’s performance of modern dance was jaw-dropping awesome. 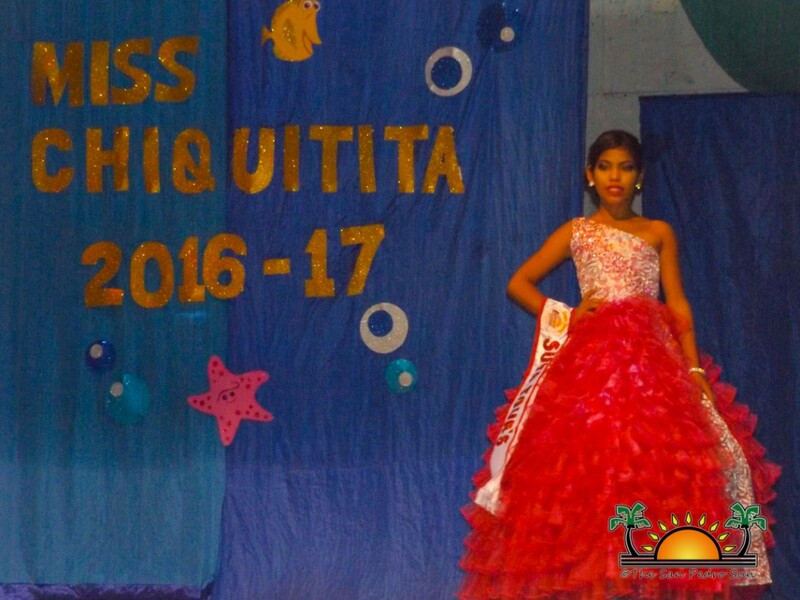 As final scores were tabulated, outgoing Miss Chiquitita Killianie Sosa gave her final walk on stage before the winner was announced. 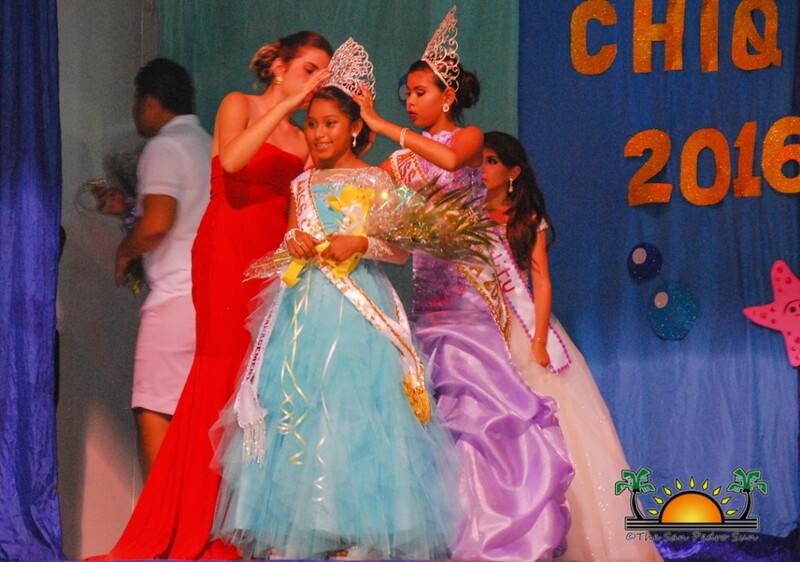 Miss Amity went to the enthusiastic and smiling Carolina Salinas, while the prize for most photogenic went to Monique Garcia. 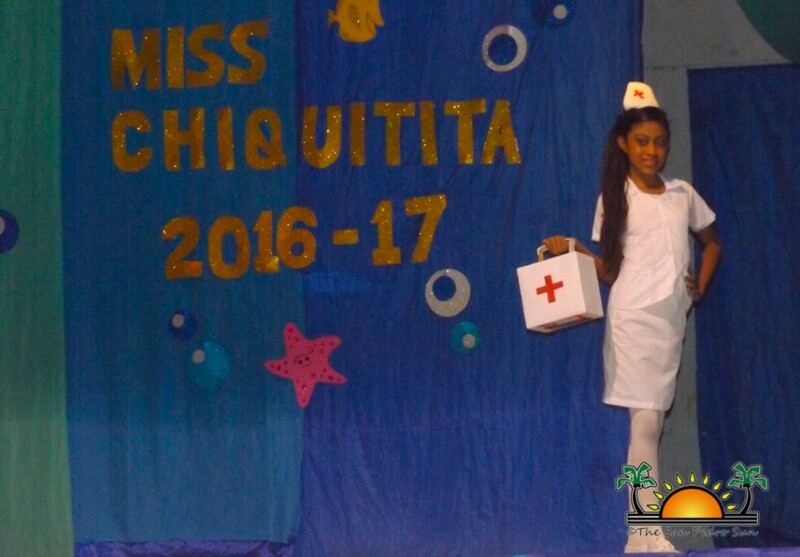 MC’s Angel Nuñez and Adrianne Hernandez announced the winner, and to the sound of drum-rolls, Miss Chiquitita 2016-2017 is Lindsey Williams! 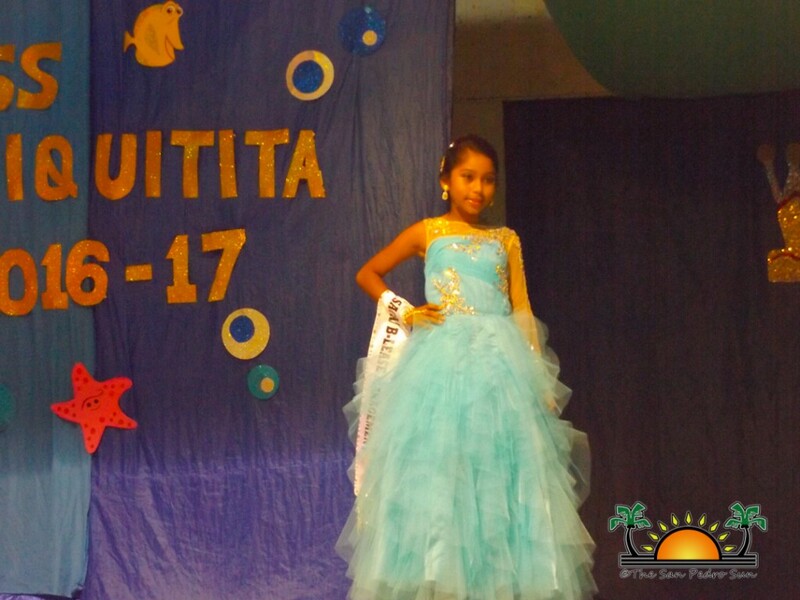 Congratulations to the new Miss Chiquitita and may your reign be full of fun. Organizers of the event take this opportunity to thank their sponsors: Wild Mango’s, Ashley’s, Gaby’s Construction, Divas & Dudes, Suya Tours, El Dorado, Touch Management, Saga Humane Society and Belize Management, Finn and Martini, San Pedro Belize Express, Chuck & Robbie’s, Castillo’s Hardware Ltd, Caye Supplies, Eat Cake, Manelly’s Ice Cream, Leslie’s Salon, Annie’s Pastries, Caramba Restaurant, Rain Restaurant, Lynn’s Boutique, The Green House, Lino’s Meat Shop, Coral Cable Vision, Caribeña Enterprises, Nelly’s Baby Nest, Estel’s, Caye Supplies, Carts Belize, Cholo’s Golf Cart Rentals, Beautify and Addictions, La Divina Providencia, Barbara Brown, Rompe Raja, Emil, Itsayana, Silvia Sedacy, Teachers and parents of the contestants, The Hidden Treasure, Amarelly’s Nails and Honorable Manuel Heredia Jr.